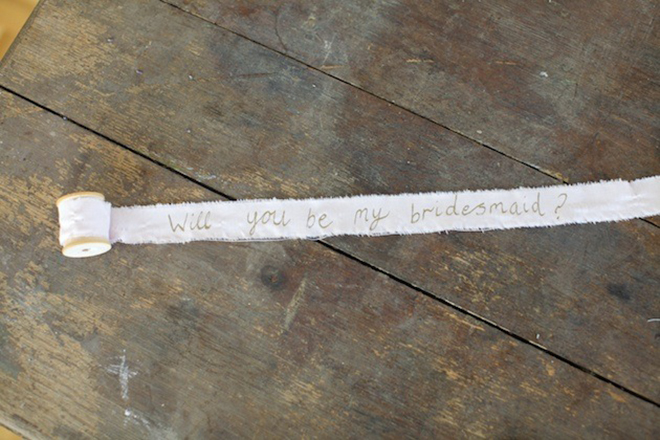 Darling Ideas to ask your bridesmaids to be in your wedding! 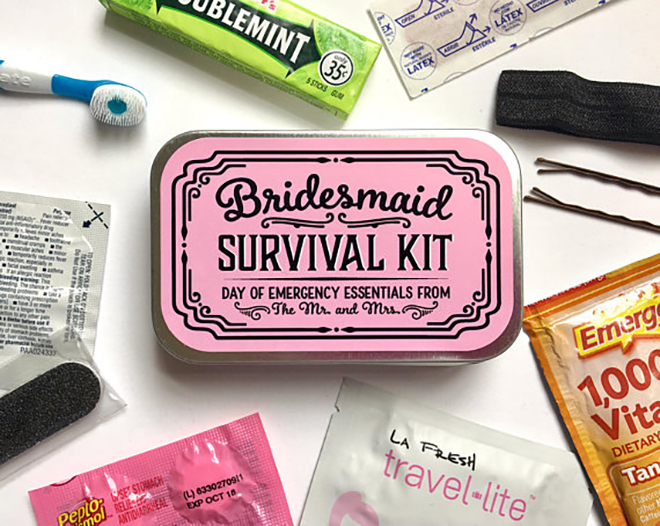 Okay, status update from you brides-to-be? 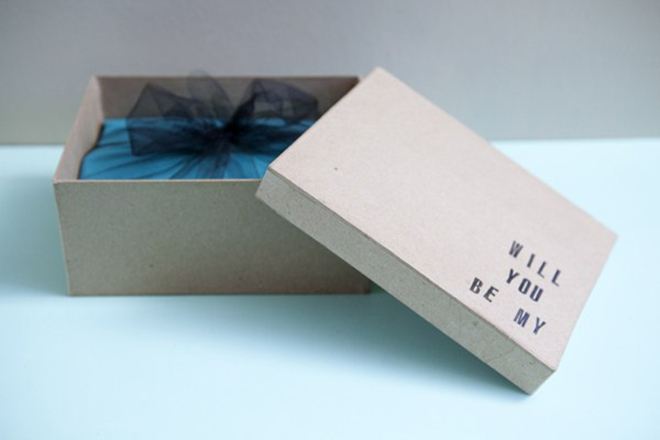 You have the ring. 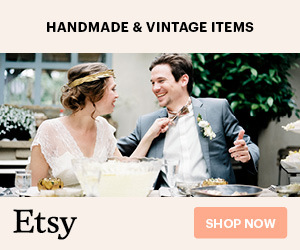 Have you set a budget? 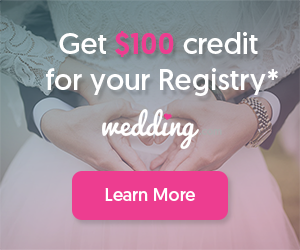 Found your venue? 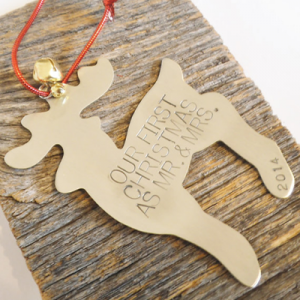 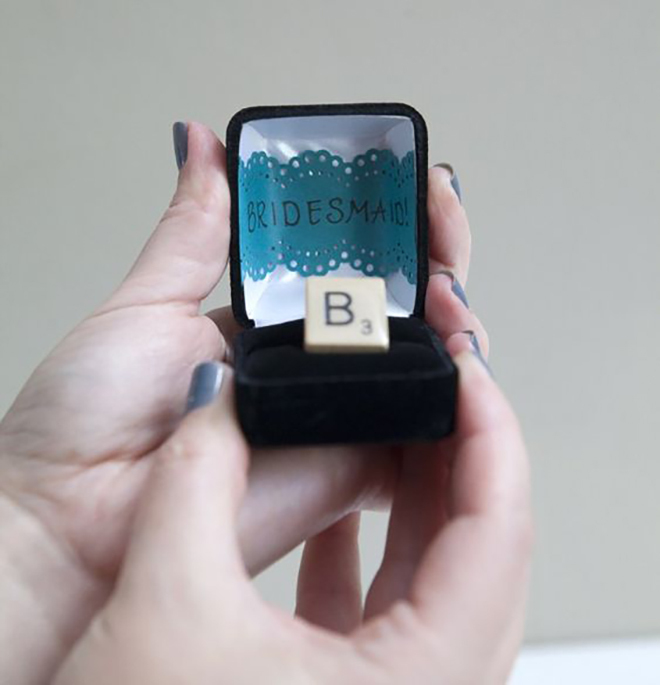 How about a real fun task, have you asked your bridal party to be part of your big day? 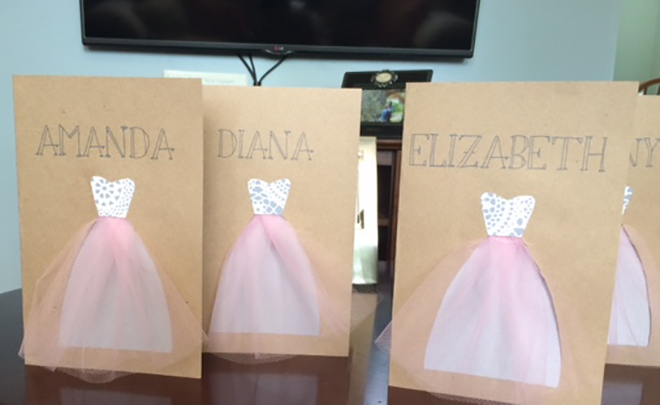 These days, like the rest of the wedding process, asking your bridesmaids has the potential to be a really special detail. 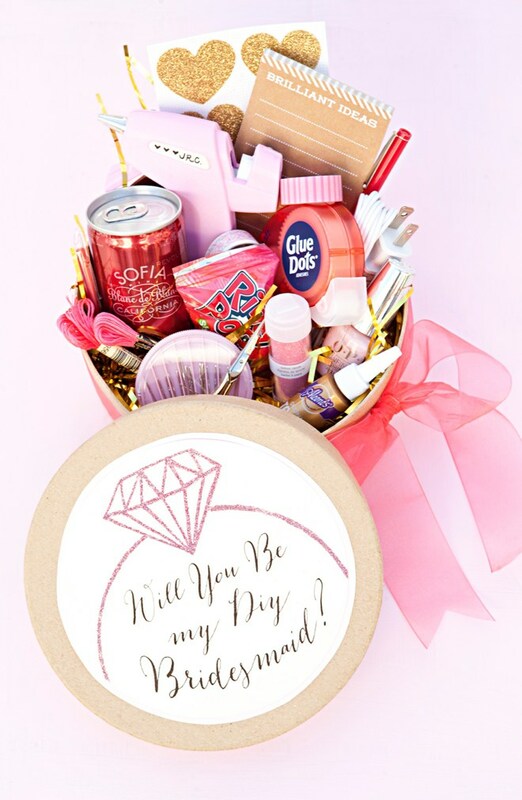 Why just send a text when you can surprise your besties with a fabulous moment. 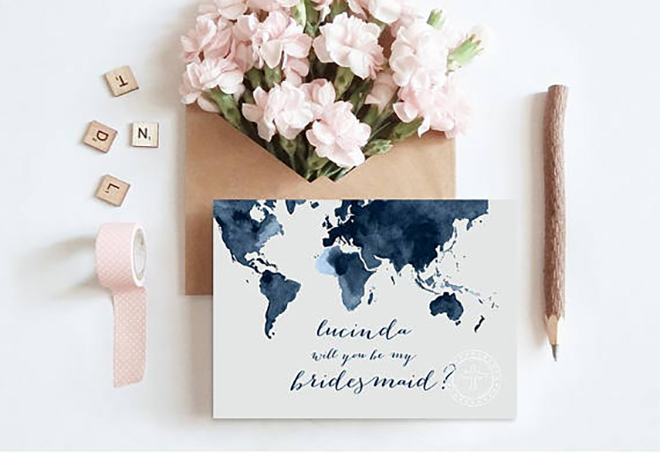 Will you be my bridesmaid goods are still a very niche market, but Etsy has a whole world of fun, personalized products. 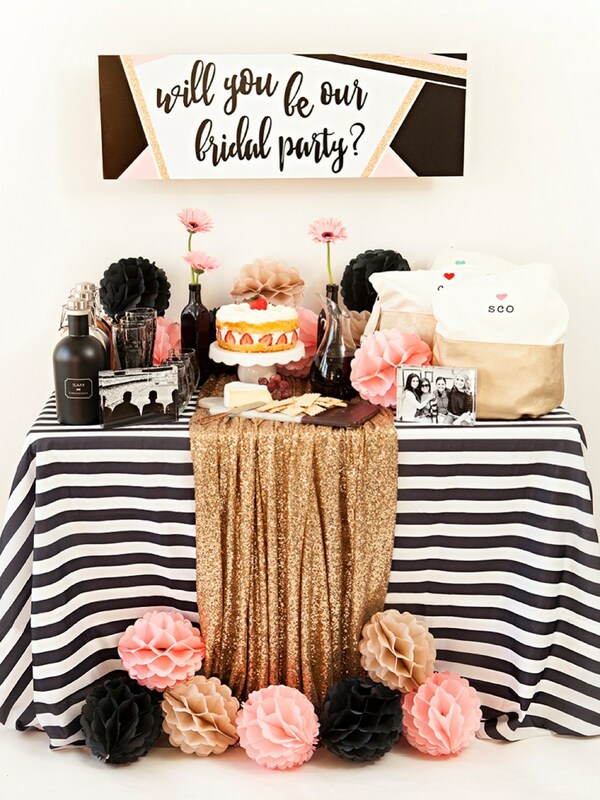 Of course, DIY is another way to go, and you have come to the right place, we have lots of great ideas for asking your wedding party in our archives. 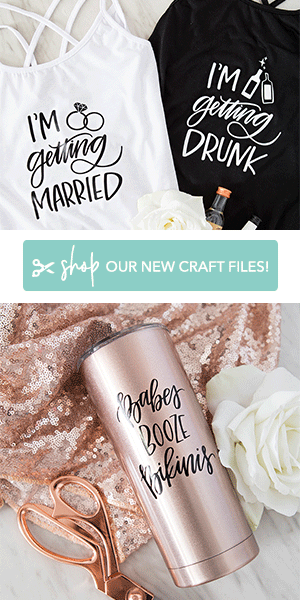 Scroll to see our favorite ideas. 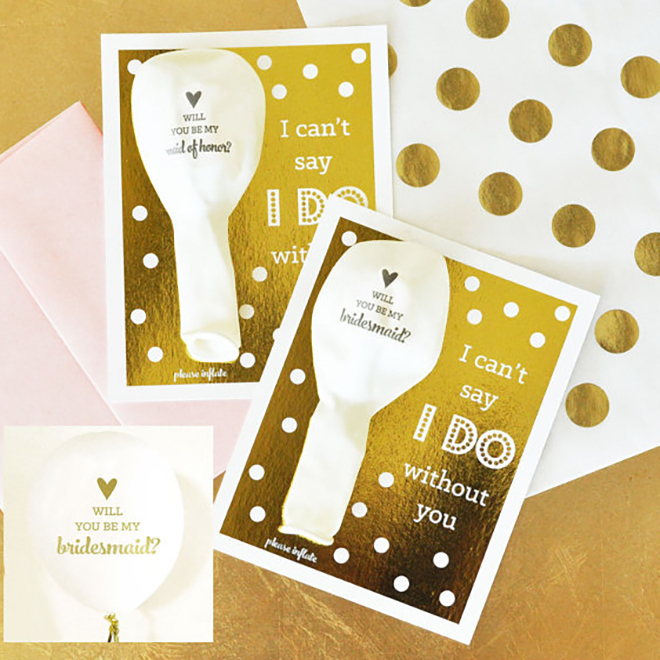 WOULDN’T THESE CARDS LOOK DARLING IN YOUR COLOR SCHEME? 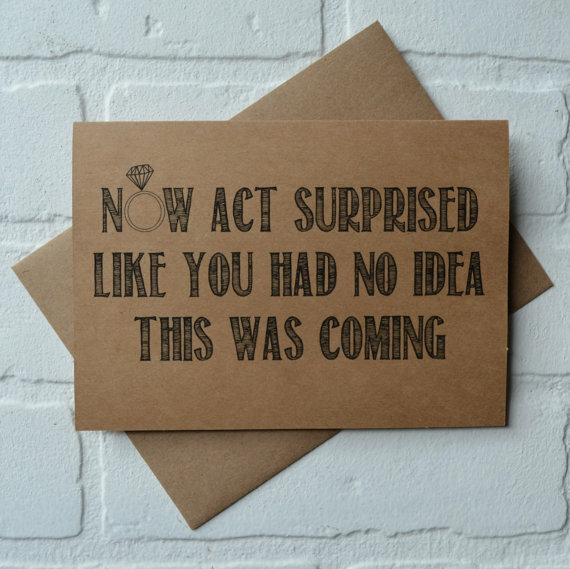 DO YOU LOVE A CHEEKY CARD AS MUCH AS WE DO? 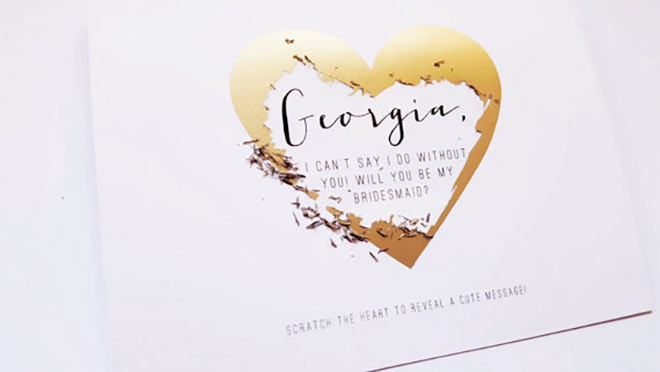 WHY NOT THROW A WILL YOU BE OUR BRIDAL PARTY PARTY?! 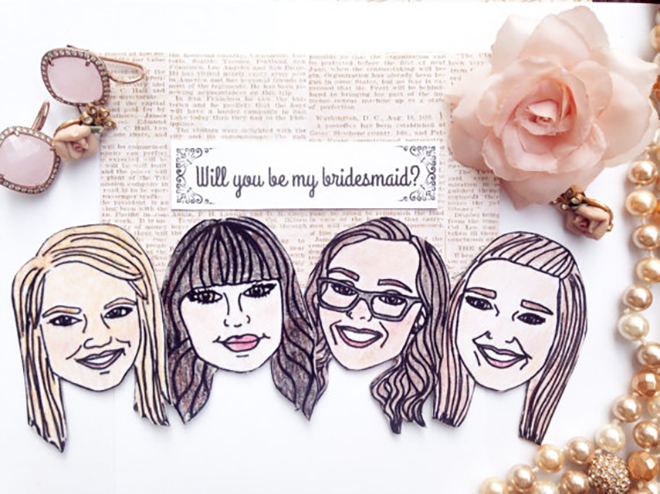 HOW HILARIOUS WOULD THESE CUSTOM BRIDESMAID MAGNETS BE?! 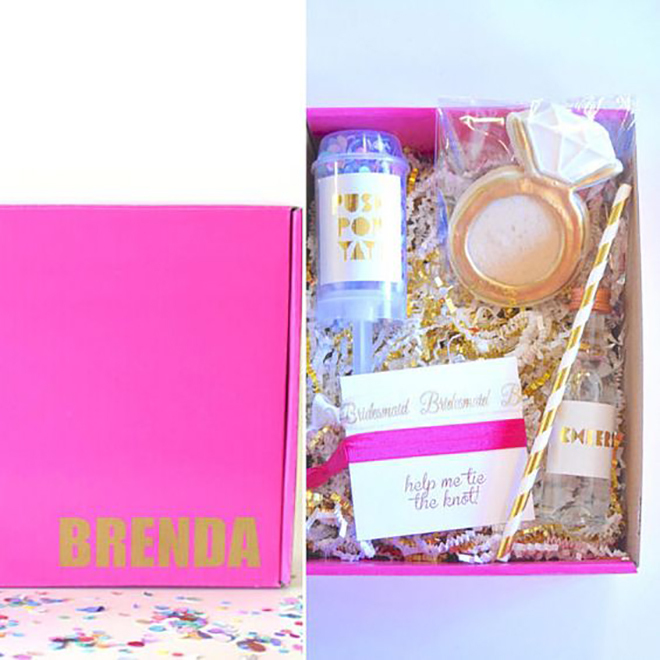 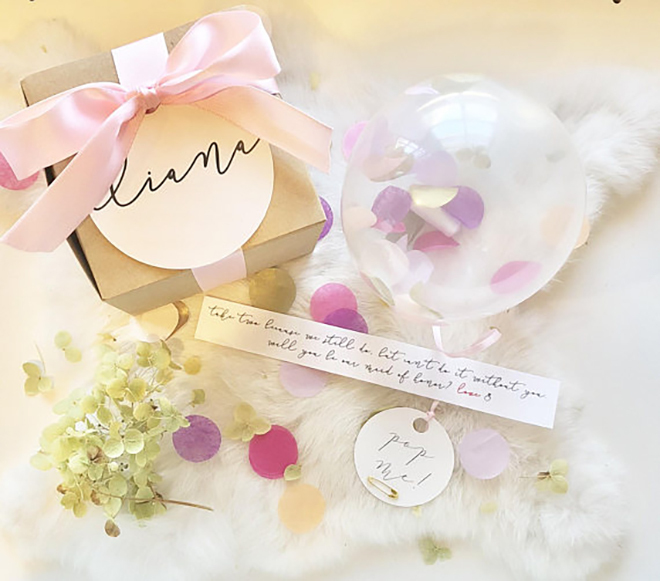 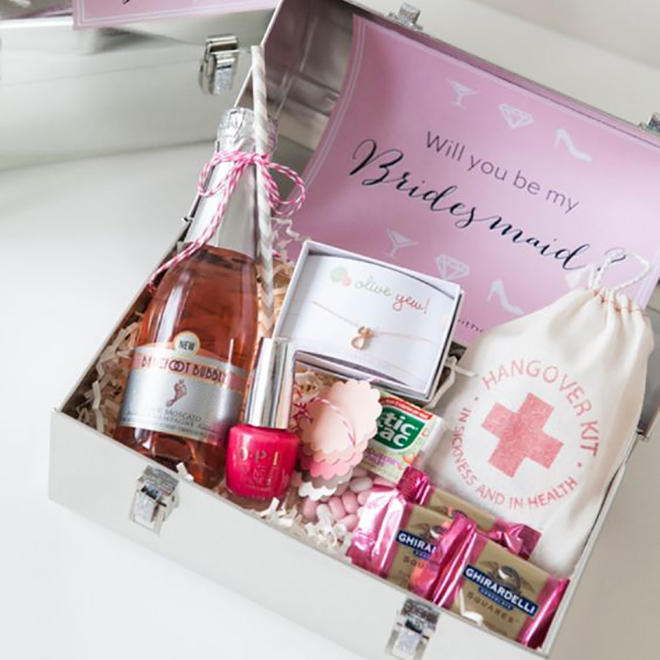 BRIDESMAID PROPOSAL BOXES ARE SUCH A FUN IDEA!